As we look high and low for consistent signs of spring, our three offspring are well-entrenched in summer sports activities, namely, baseball, softball, soccer and ball hockey. They love it, we love them loving it. It’s all good. Mercifully, our boys are on the same soccer and baseball teams and are able to transport themselves when required, so the schedule is very manageable. What is increasingly unmanageable though is the behavior that after all these years of participating in, watching my kids play and hearing about my friends’ kids experiences is — parental behavior. Questionable, largely unethical, disrespectful words, thoughts and actions carried out by (thankfully) a minority of individuals, who are increasingly growing in number, ever so slowly. You may have met some of them. 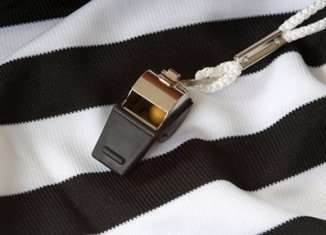 They stack teams, yell comments, usually don’t lift a finger to volunteer as a coach, assistant coach, vociferously question calls, coaching decisions, bend the rules left, right and centre, slyly encourage cheating, winning at all cost, or they run everything and control teams, games, outcomes, standings and the like from their lofty perch. Tons o’ fun. Our family has watched this behavior at various venues and against a litany of backdrops/arenas/fields for years. We usually don’t say anything and watch these people derail themselves. But still, to this day it still amazes me. When adults display an overt need to WIN vicariously through their children no matter the circumstances, something must be said. They are fashioning children who will likely do the same. Great — a whole new generation of cheaters awaits. Note to them: get over yourselves, it is only a game, remember your age, and finally, if you can’t do any of these, STAY HOME. The problem with saying nothing, as I have said to my kids on occasion, is that inaction, inevitably supports this cheating behavior. By the same token, saying something, anything pits a RATIONAL mind against an IRRATIONAL one. Who do you think will ‘win’ that debate? In our family, we joke about it. Not ideal, but you’ve gotta laugh to keep your sanity. Fortunately, for whatever reason, my kids have always landed on teams with fair and sane coaches. We tell them to accept whatever team they are on and whomever their teammates are, even though most other teams feature stacked lineups built for minor sports supremacy. We tend to repeat to them the refrain — ‘you get what you get and you don’t get upset’. None of these factors ever seems to bother them. Even the few times they have the option to choose friends/teammates to play with, they elect to choose one with the belief that selecting more than one is not fair to everyone else. I don’t know where this all comes from, but we support it wholeheartedly. Apart from the infantile behavior of these ‘over-zealously competitive parents’, the people I feel bad for most are their children. They will likely grow up to expect their mom or dad to gallop in on a white horse and rescue them when they don’t win in life. Too bad it doesn’t work that way. Can you spell depression, anxiety, failure complex? I also feel bad for those coaches who choose to play by the rules, who don’t realize or figure out too late that this type of behavior is out there. They innocently put together teams, lineups, dedicate their time and effort to volunteering as coaches, etc., only to see their teams lose repeatedly or have their genuine efforts undermined by this ‘unfair’ element. As I brace to watch these various dramas unfold, (some have started from day one), I wonder, who are the real children here? Even the smallest of children understand the basic principles of right from wrong don’t they?